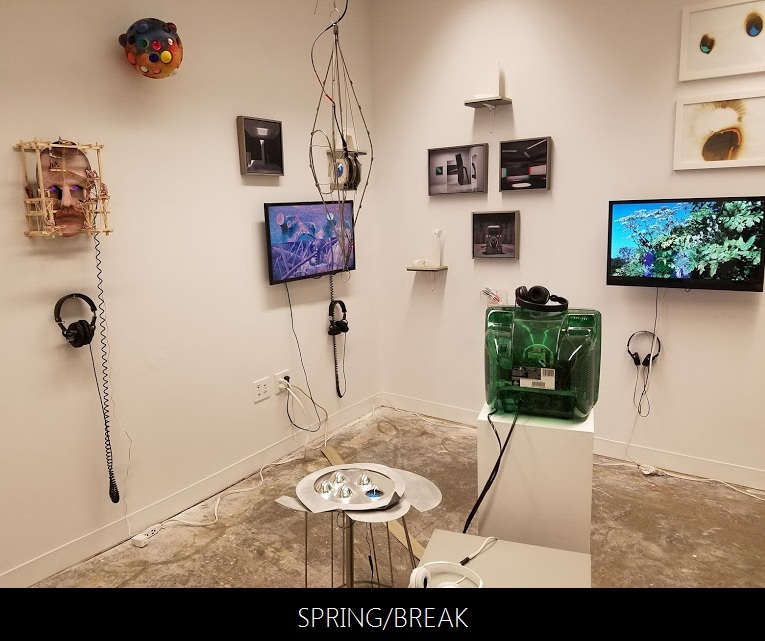 SPRING/BREAK Art Show returned for its sixth annual art fair March 1 through March 6. We visited 4 Times Square this past Saturday afternoon to see what the great curators had to show. If you didn’t have a pre-purchased ticket, you had to wait in the cold on a line out of the building door and down the block to get in. For those lucky to skip the line, they were granted quick access to the 22nd and 23rd floors. We read about “16 Curators to Watch at SPRING/BREAK” so we made sure to make special visits to their rooms. We could have spent the entire day there but with a limited schedule we had to make some strategic decisions on who to visit and who to skip. 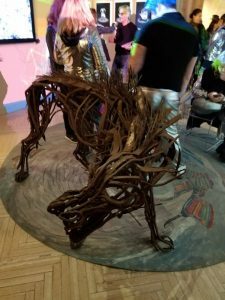 As soon as we got off the elevator on 22 we were immediately immersed in art. 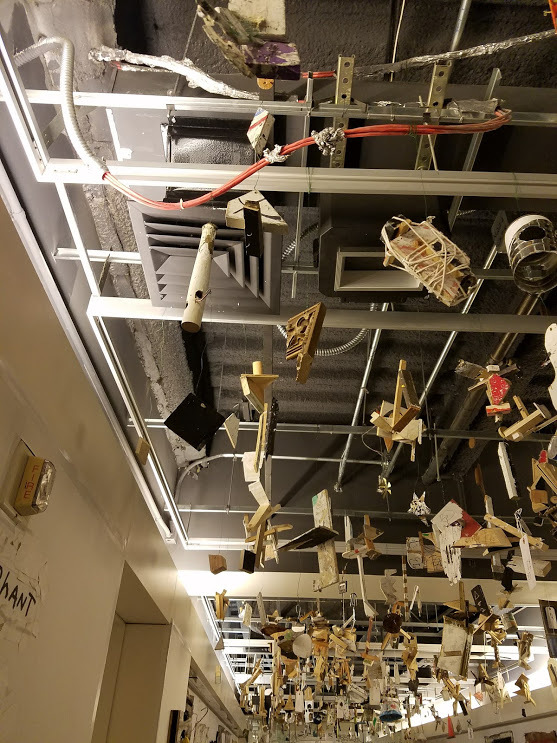 There was art hanging from the ceiling and all over the walls. The range of art is amazing to see. There are sculptures, live art, photographs, paintings, and so much more! 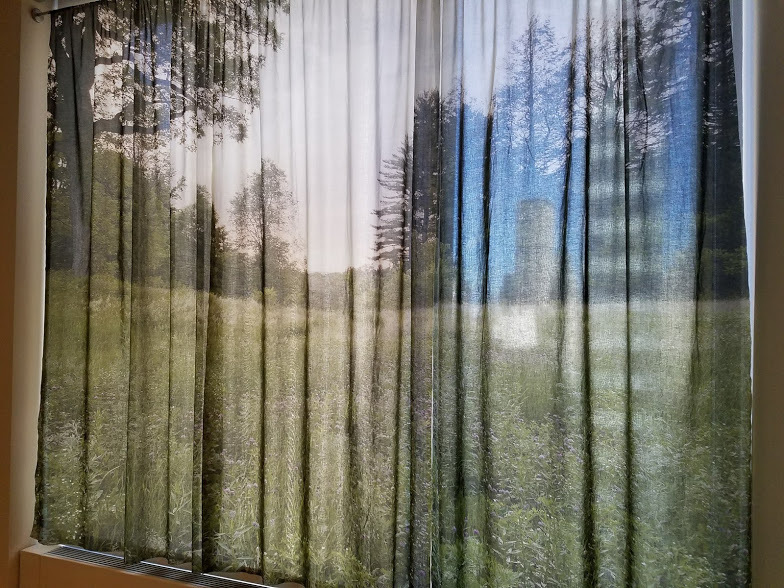 In room 2336, curated by Michael Gaughran, we saw the curtains (below) by Jodie Mim Goodnough on the windows and were able to interact with a video game created by Anthony Montuori. Our photos and words cannot explain the true greatness all of the art curated for this show. We highly recommend to plan a visit for today if you have time or add yourself to their newsletter so you don’t miss next year’s show.